Emily P. Freeman is the Wall Street Journal bestselling author of Simply Tuesday and A Million Little Ways. 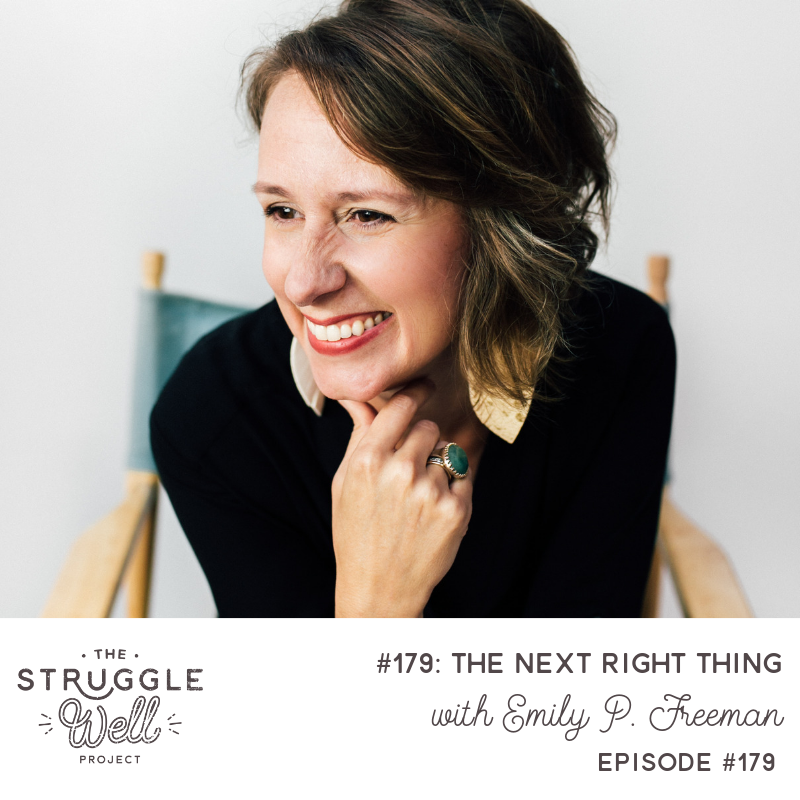 As host of The Next Right Thing podcast, she helps create space for the soul to breathe, offering a fresh perspective on the sacredness of our inner life with God. Emily and her husband live in North Carolina with their three children.